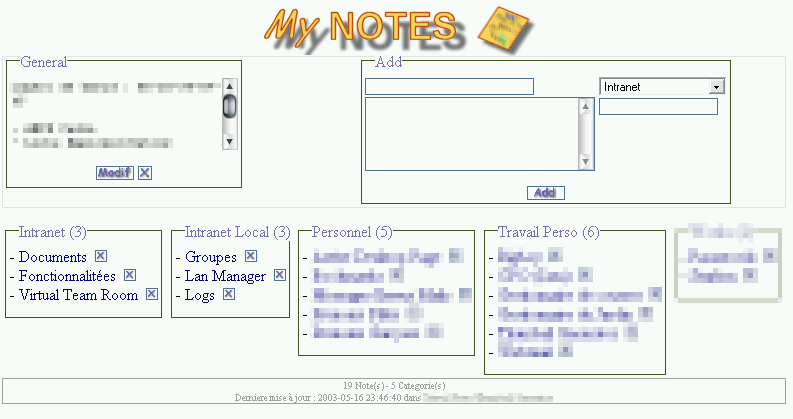 Only simple notes, with main categorie and dynamic subcategories. PHP 4.x.x could be find on www.php.net. Change $notes_database="main"; and $link = mysql_connect("localhost", "", "") to match your database configuration.